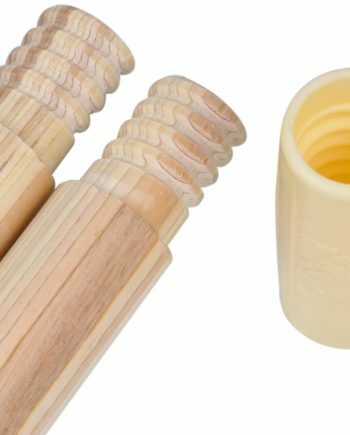 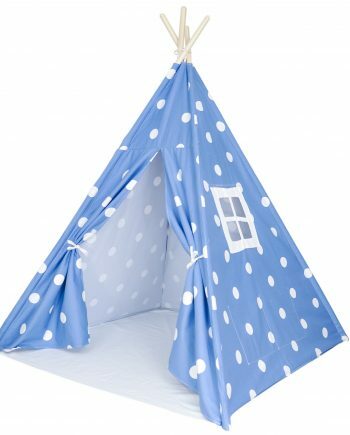 QUALITY MATERIALS, NO TOXIC CHEMICALS: Are you looking for a high quality teepee that’s safe for your loved ones? Our teepees and decorations are designed in the USA by American parents for your boys & girls. 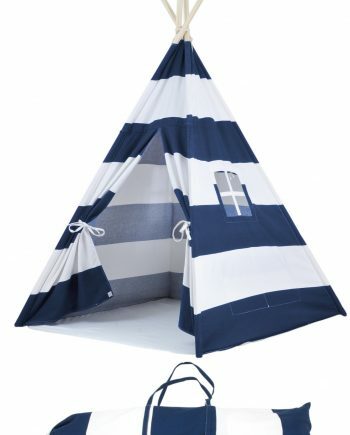 They are high quality, machine washable, heavy cotton canvas with hardwood poles and plenty of room for adults & kids (62″ tall, 48″x48″ base). 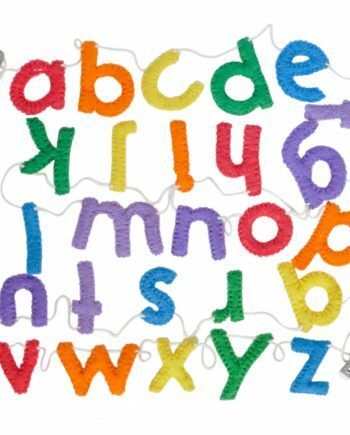 We use no chemical fire retardants for your children’s safety. 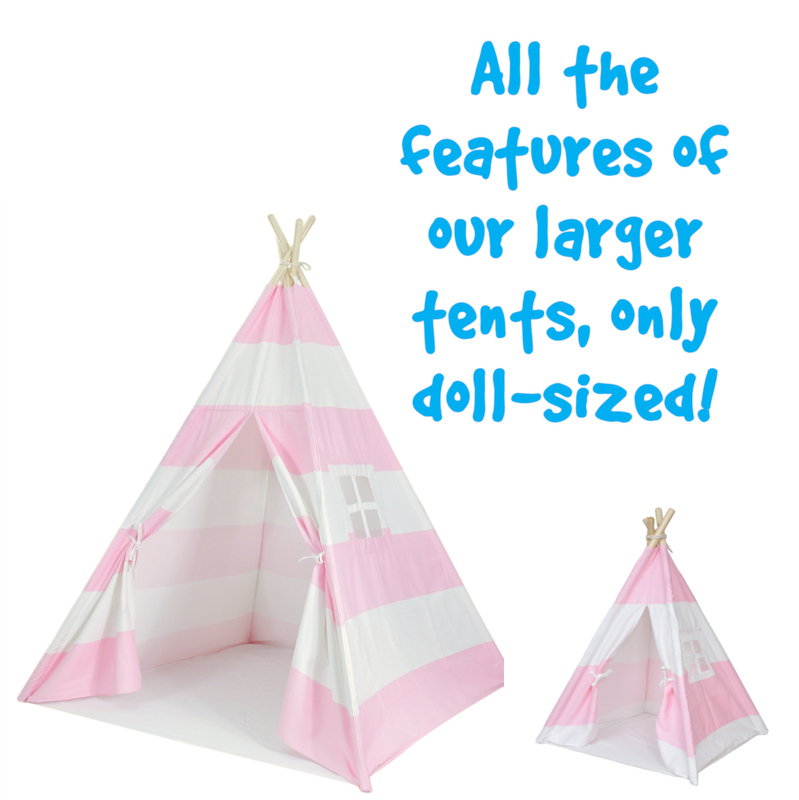 Your satisfaction is guaranteed when you purchase a teepee (or tipi) tent from us. 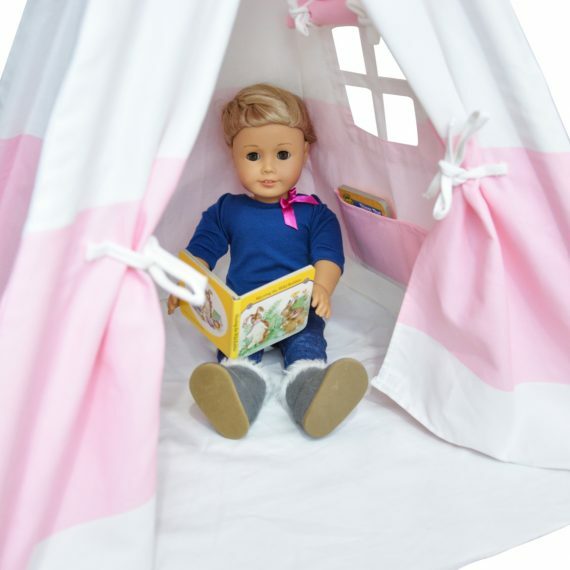 PERFECT FOR 18″ DOLLS: Give your little girl a teepee for her doll that’s just like hers! 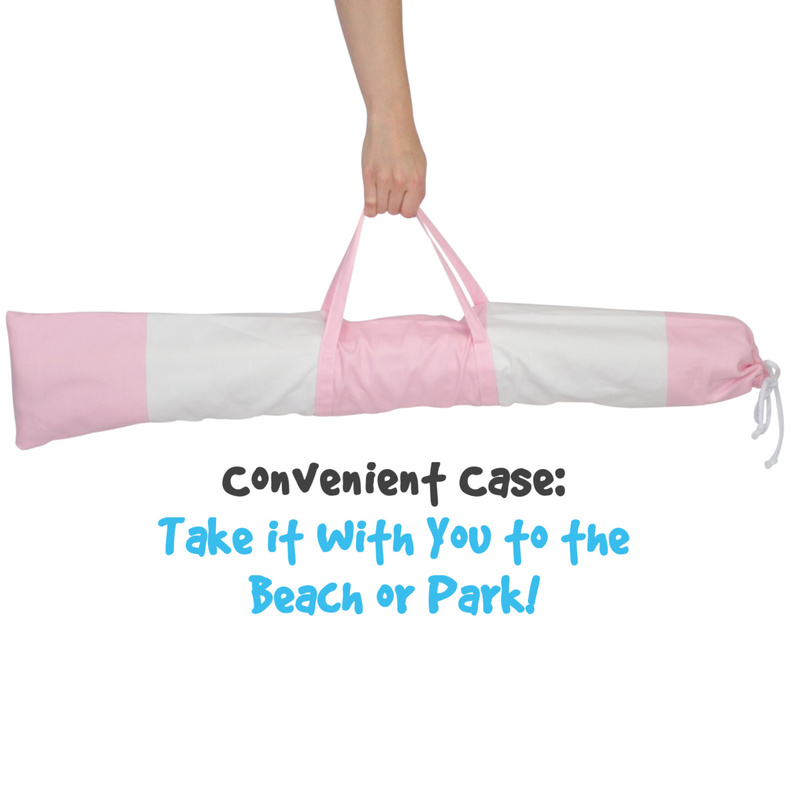 From the hook and loop fastener on the door to the cute little pockets, this is just like our full-size tents! DOORS AND WINDOWS EASILY OPEN AND CLOSE FOR SMALL KIDS: Peek-a-boo! 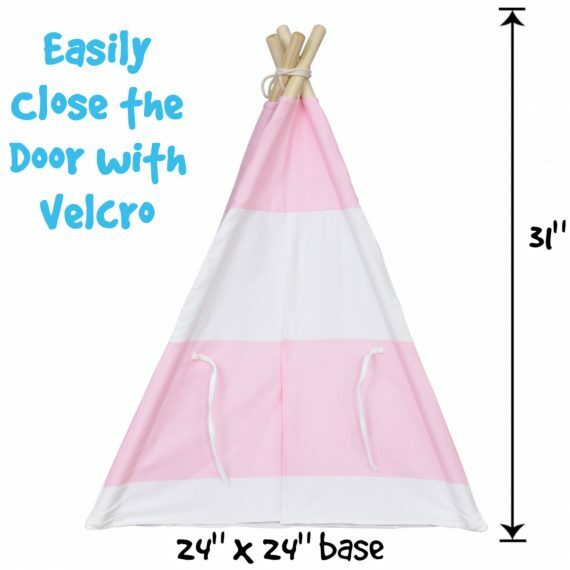 Window and door flaps and fasten shut or can be held open with canvas ties, simple enough for kids to operate themselves! 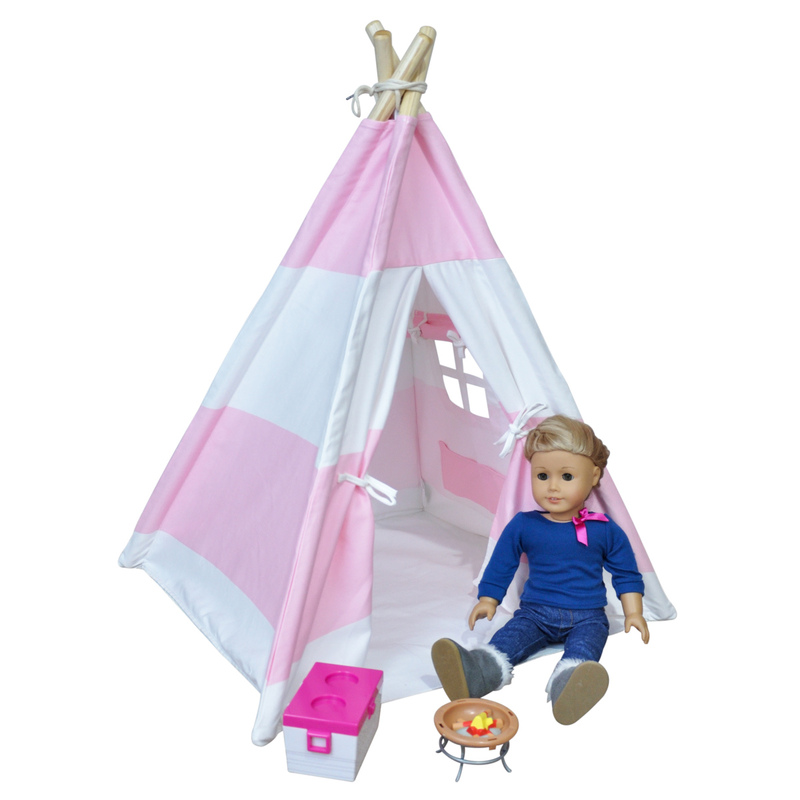 Your kids will love letting their imaginations run wild when playing with their 18 inch dolls in our teepee. 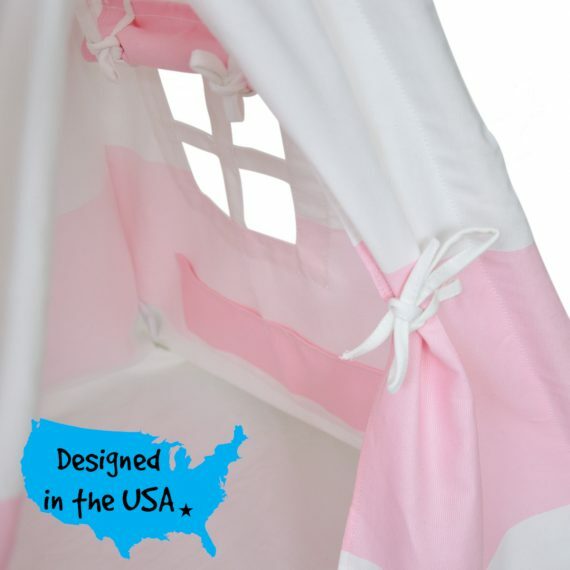 Complete with doors and windows, it will quickly become their favorite play space. 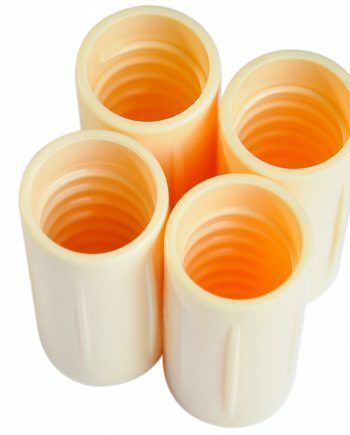 We have had great feedback from people that love our tent, and we’re confident you will too. 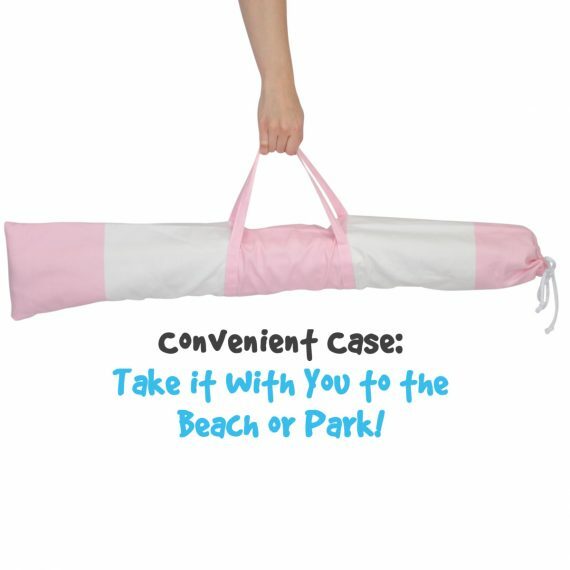 If for some reason it’s not right for you though, send it back, and we will give you your money back.